Newly renovated, cosy house on a large fully fenced section. Plenty of room for the boat and equipped with a fish filleting bench. Huge covered deck, outside (hot water) shower and covered sandpit for the kids, or adults! Handy location being just across the road from the General Store that has Fuel, fishing supplies, a bottle shop and all the essentials. There is also a Dive Shop and Bar and there is even a Takeaway Shop for those rare nights when the fish aren't on the bite, all just across the road! 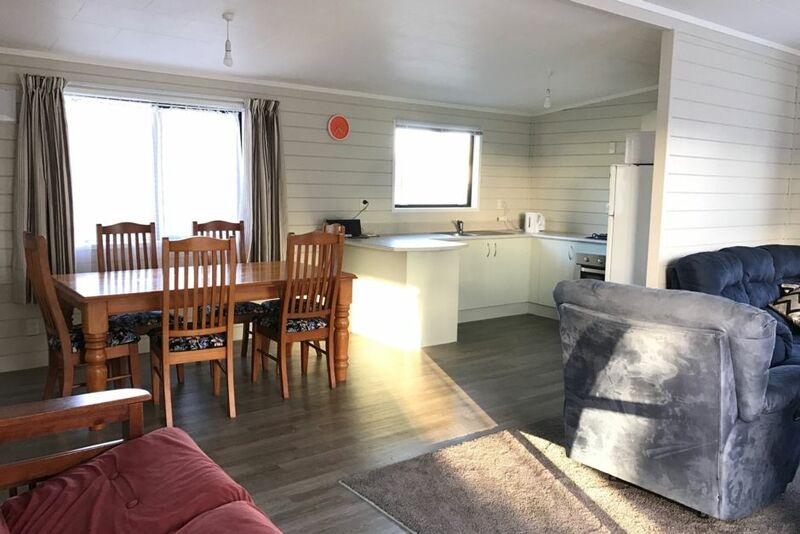 Located within 10 minutes drive to Matai Bay, Whatuwhiwhi, Rangiputa, Puheke Beach and many more fantastic Northland beaches. Just up the road you can try your hand at golf or enjoy dining and wine-tasting at New Zealand's Northernmost vineyard and winery, Carringtons Resort. Tokerau Beach itself is 18 km long and great for walks, offers safe swimming, great fishing and beautiful diving. New Zealand's Northern tip, the Cape Reinga Lighthouse. Marvel at the clash of the Tasman Sea meeting the Pacific Ocean. Slide down the mountainous sand dunes at 90 mile beach. Mathew's Car and Machinery Museum is 20 minutes away at Taipa. Kaitaia township and it's new cinema a 20 minute drive away. One of New Zealand's earliest European settlements and World Famous Fish Shop at Mangonui, 30 minutes away. Smoking allowed outside only. Must remove all butts. Linen supplied on request at $30 per stay. House to be left as found and all rubbish removed. We loved our stay! Very clean property, everything you need is there! Perfect location and excellent property for families with young kids (we have three under 6). The property was super clean, well appointed and well located. The property was super clean, well appointed and well located. Certainly a fantastic choice for anglers, families, and groups. Great location and Bach was immaculately clean when we arrived. Perfect location across from fuel stn. Perfect location across from fuel stn. Dairy, and off licence. Awesome place. Would highly recommend to anybody. Great communication from owners. This place has everything you need.